Preserving your birth story is a great way to relive the special moments in the first day of your little one’s life. This creative fee covers Arizona Birth Photographer Lizzy McMillan’s time and talent, and a minimum of 100 digital images, & birth story slideshow. Arizona birth photographer Lizzy McMillan captures the story of your delivery, so your partner can put down the camera and focus on experiencing the miracle of birth with you completely. The first breath they take. The moment you fall in love at first sight. The first time you hold your precious bundle of joy. Momento Studios documents these, and all the amazing moments in between. All birth stories include unlimited birth coverage (Arizona birth photographer Lizzy McMillan gets called in when the mother is dilated to 6cm) as well as the first 90 minutes following birth. Momento Studios will capture all those special moments leading up to the birth and the first moments of your little one’s life. Lizzy McMillan offers a calming presence in the delivery room. She is experienced in low-light photography. She does not use flash or excessive movement when capturing your birth story. 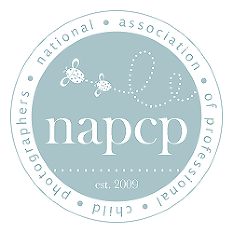 Birth Collection coverage includes 24-hour on-call access to our experienced birth photographer for 2 weeks before and 1 week after your due date, high-resolution digital files, as well as a birth story slide show. We proudly work with hospitals and birth centers within a 30-45 minute radius including: Scottsdale Shea, Banner Desert, Banner Gateway, Chandler Regional, Mercy Gilbert, St. Joe’s, Tempe St. Lukes, Babymoon Inn, Blossom Birth Center and home-births. If your hospital is not listed, please inquire. Arizona birth photographer Lizzy McMillan has never missed a birth. 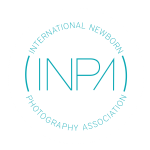 But, just to ease any jitters, we work with a network of skilled, experienced, professional birth photographers. Our goal is to ensure your baby’s birthday is documented to perfection. In order to serve our birth photography clients, Momento Studios only accepts a limited number of births each month. Labor can be unpredictable, and we factor that in to our birth photography coverage. To ensure availability, we recommend contacting Momento Studios early in your second trimester. Birth Collections begin at $1200 and include your session and high-resolution digital files. Additional prints and products are available for purchase. Please see our Investment page for more information.